In latest release of Tally 6.1.1 a very unique and new option will available which is Trade or Cash Discount. While recording a sales transaction, you can easily enter the discount rate or amount for each stock item. 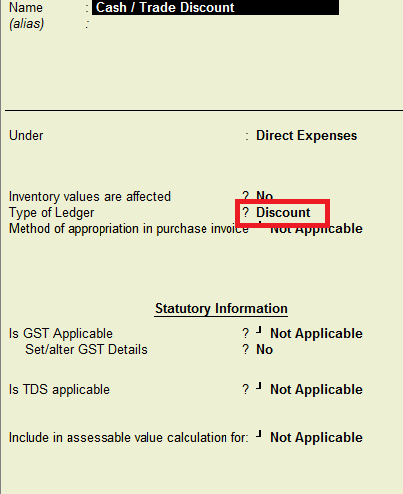 To consider discounts for GST Sales, you have to create a discount ledger and then select it in the invoice. 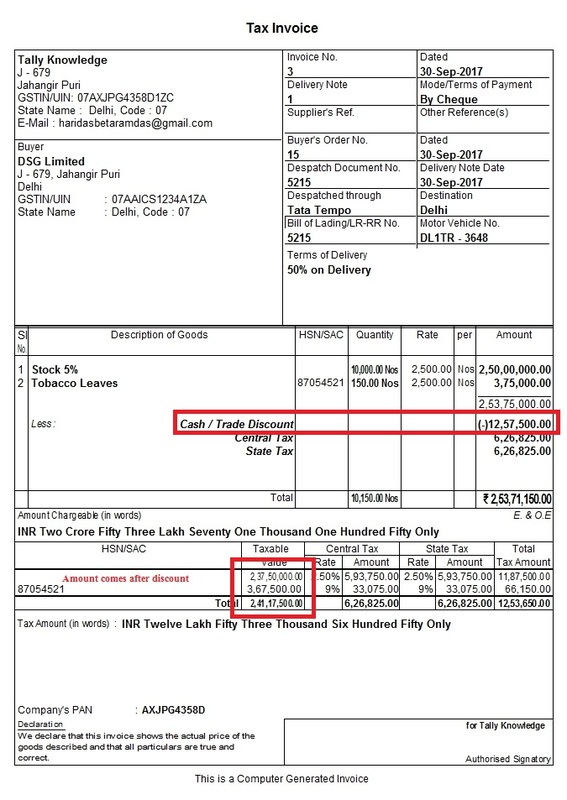 GST is calculated by considering the discount entered for each stock item after you enable the cash/ trade discount option in invoice. The corresponding tax values will appear in the GST analysis of items on the printed invoice. Go to Gateway of Tally - Ledgers - Create under Indirect Expenses. When you Enter rate of Discount on stock level item it is automatically calculated in discount section, Select expenses ledger under stock items and you see Discount applied on stock level comes automatically in amount field, select IGST, CGST or SGST and save the voucher.